The Disney Style blog has shared a photo of model Karlie Kloss in New York recently, wearing the Darth Vader backpack by Loungefly! Karlie even shared a pic of her Darth Vader bag on Snapchat, with the comment “Isn’t my backpack the coolest EVER” – see photos on the Disney Style blog. Johnamarie from The Wookiee Gunner reviews three items from the Love And Madness x Star War jewelry range – the Star Wars crawl wrap bracelet, the Darth Vader hair clip, and the Yoda bangle bracelet. I’m keen to pick up a few of their clips, so it’s great to see a close up review – check out her post here. Tumblr user charlotteluna has posted her review of the Her Universe Stormtrooper dress from the recent collection. She purchased the medium, and talks about the fabric, fit, and frustrating added cost of buying from the UK (I can totally relate!) – check out her review here. Jay from Annie And Jay 14+ has posted her review of the Her Universe Captain Phasma jacket from the recent collection. She purchased her jacket from Torrid, in plus size 2 – it looks stunning on her! Check out her review here. Bria from White Hot Room has posted a few outfit photos featuring the Darth Vader jacket by Her Universe. I love her styling, it looks great with a skirt and heels – check out her photos here. Also, Bria recently checked out the new Thinkgeek store in New York, and picked up a few Star Wars fashion items – read her blog post here. 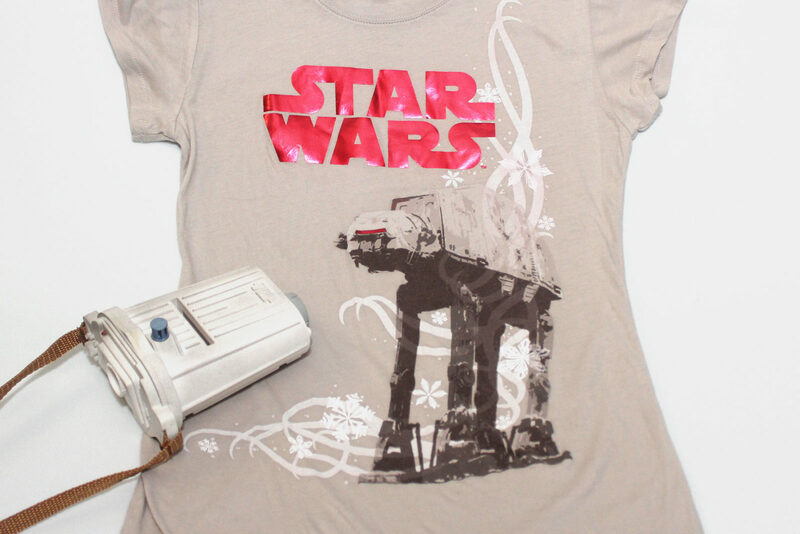 Jenmarie from Anakin And His Angel has posted her Star Wars fashion shopping from May the 4th. She picked up the Love And Madness x Star Wars crawl wrap bracelet from Gamestop, while family members also bought Star Wars apparel and accessories – check out her blog post here. Recently, I’ve spotted a few new Star Wars fashion designs on Instagram – a super cool C-3PO design by virginiainmay, three fun Episode 7 dress designs by gryffmintdor, and a pretty R2-D2 dress design by arisito_juarez. Also, Instagram user jonjondesigns has some amazing Star Wars inspired concept drawings, including Asajj Ventress, BB-8, AT-AT, X-Wing Fighter, C-3PO, and First Order Stormtrooper! 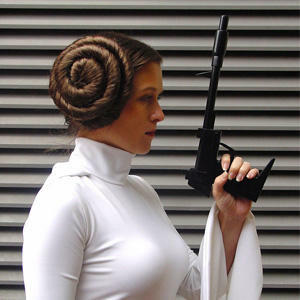 The Fashionably Geek website has shared a fabulous R2-D2 themed can-can cosplay-style outfit. The outfit includes a corset featuring R2-D2’s classic features, and a ruffled can-can skirt with printed fabrics – check out the photos here.